Essential oils are more than nice scents; these powerful plant extracts are a path to natural radiance and improved health and well being. Essential oils have been used for thousands of years for their wonderful healing and therapeutic properties. Young Living essential oils have always been at the forefront of bringing this ancient tradition to modern users . There are essential oils to inspire a positive emotional state, enhance your physical well-being, purify your home, refine your skin’s appearance, and create deep spiritual awareness. Whatever massage modality you practice therapeutic grade essential oils will greatly enhance the results achieved. All the benefits of massage can be amplified by using therapeutic grade essential oils . Lemon grass has the same frequency as ligaments, Wintergreen as bones (and it’s warming), and Peppermint has the same frequency as nerves. It is the vibrational quality of these plant extracts -natures gift to human kind- that can support us on our healing journey to wholeness. Raindrop Technique® – so much more than just a massage! Imagine the sensation of sinking into a deep and blissful state of rest, as someone does the ancient Tibetan version of reflexology on your feet. Then you are rolled over, to experience the gentle drops of therapeutic grade essential oils being applied up your spine and to muscles on the back . The oils are “feathered in” a technique inspired by the Native Americans. This is also combined with massage over the back so all muscles also absorb the essential oils . This technique is a powerful for whole body health and healing. An experience that you need to have to fully realise the wonderful healing benefits of this treatment . One day introduction to using essential oils to enhance your massage. Raindrop techniques developed by Gary Young will be Introduced . Different ways and techniques to use essential oils . How to include essential oils to give your treatments added therapeutic value and be aromatically delicious to your clients as well as the healing vibration of the essences. Contraindications and benefits of oils covered . $475 for one day personalised course instruction. In personalised training one day is sufficient. A $15 fee is applied if need raindrop set of oils to use on the day . Material will be sent before course for you to read . On day practical application and theory covered. 12 hours of course time accredited to you. Please email Kaye@kdmassagecourses.com.au for more information and course outline. Just buy one of the starter kits – Basic Starter Kit $59- and receive wholesale prices on first and future orders. Once a year you need to order 50 PV points which is about $80 to keep your wholesale account open. If you don’t order once a year, the wholesale account will be closed. 24% Discount – Simply add a wholesale Starter Kit to your first order to access wholesale prices at the 24% wholesale discount. You can choose any of these Starter Kits to gain wholesale access. I can talk you through it over the phone and give advice on orders and oils etc I would love to share my knowledge and experience with you with you. or phone Kaye Dixon 0407645764 and I can talk you through it over the phone and give advice on orders oils etc if you would like I would love to share with you. imbalance in constituents. All of Young Living’s essential oils meet or exceed the world’s highest Therapeutic Grade standards, the ISO and AFNOR standards (hence we refer to them as Therapeutic Grade A). Young Living goes a step further, undertaking extensive research into the ideal growing and distillation procedures for each essential oil.For example, Cypress (Cupresses sempervirens) is an oil commonly used in massage . chemo type (mostly Basil Eugenol CT). This is sweet basil, and has an entirely different effect on the body. Production to “extend” the oil (making it more financially lucrative). These farming and distillation practices are not always fully disclosed to the buyer. from seed (to meet their high standards). When they outsource, they look for farms that meet their quality standards, and do not use chemicals. Wherever possible, Young Living works directly with farmers to ensure that their requirements for strict standards and quality control are understood and adhered to. Neighbouring farms), Young Living employs rigorous, state-of-the-art tests on all batches of essential oils. Oils that don’t meet their standards are rejected. Laboratories) to make sure that their quality requirements are met. The end result is perfect oil- the highest quality available in today’s market. Go to www.youngliving.com/en.AU to check out products. Please feel free to ring for any questions you may have regarding oils or how to become a wholesale member. No commitments needed to sign up get wholesale prices 24% discount or to discuss your options with me so you make informed choices that suit the way you want to buy oils. If on the otherhand you do want to become a distributor please contact me or go online . Please contact me if you want assistance joining up to get Young Lliving essential oils wholesale. We can schedule a time for a phone chat. 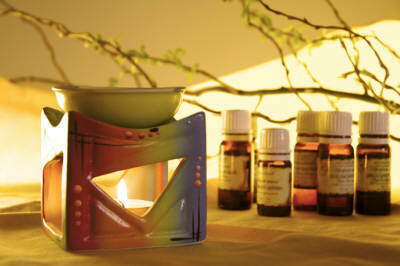 I am also available to assist and advise on your choice of oils to enhance your massage and day spa business. if you want to join up to get wholesale prices a 24% discount you can for as little as $47 and then order as little or as much as you want each month. You are under no further obligation. If you would like me to help you join up and give you information on oils and specials. Please email me or ring. I am very happy to spend time with you and we can do in person or over the phone how to join up and how I can help you with the different offers they make. I can clarify all this for you. Imagine the sensation of sinking into a deep and blissful state of rest, as someone does the ancient Tibetan version of reflexology on your feet. As you slowly (even reluctantly) come back to your body and roll over, you experience the gentle splashes as therapeutic grade essential oils are applied up your spine and to your tired muscles. These oils are then “feathered in” using a spine-tingling technique inspired by the Native Americans, combined with massage. You can’t get more pampered than this.